In May 2017, President Trump signed a "religious freedom" executive order, calling for Attorney General Jeff Sessions to issue guidance on federal laws that protect religious freedom. On October 6, the Attorney General released the guidance that significantly weakens the principle of church-state separation and serves as a blueprint for using religion to discriminate, especially against women, LGBTQ people, and religious minorities. 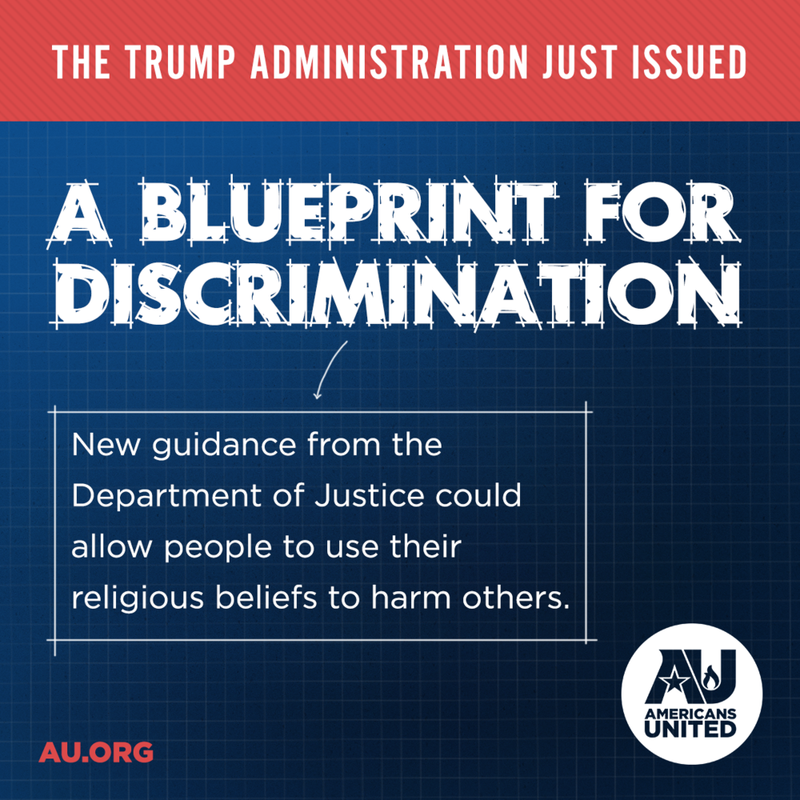 This guidance contains extreme interpretations of the law and allow taxpayer-funded organizations, corporations, and individuals to use religion as a trump card to almost any law, regardless of how it could harm other people or the public interest.